The June/July school holidays are here and if you are looking for something fun to do with your kids, then check out the DStv Kids’ Xtravaganza. This brings your children’s favourite television characters to life at Vodacom World in Midrand from 28 June to 6 July 2014. Young children and tweens will be treated to regular 30-minute live shows featuring Mister Maker and Ben 10, from their favourite DStv kids’ shows. Ben 10, the popular character from Ben 10 Omniverse on Cartoon Network (DStv channel 301), will be appearing in the multimedia stage show Top Secret Plumbers’ Academy from 28 June to 1 July. During four live shows each day – at 09h30, 12h30, 15h30 and 18h30 – kids can witness the exploits of this courageous cartoon hero alongside several other cool characters, performing amazing acrobatic stunts as they take on aliens. This show is recommended for children aged four to 12. Having fun creatively is the name of the game with Mister Maker from CBeebies (DStv channel 306), who will perform four live 30-minute stage shows every day from 2 to 5 July (at 09h30, 12h30, 15h30 and 18h30) and three shows on the final day of the DStv Kids’ Xtravaganza (at 09h30, 12h30 and 15h30). CBeebies favourite making-man Mister Maker is a global phenomenon with a dedicated following of mini makers. Fun, inspirational and very good with his hands, Mister Maker finds bright ideas for art from everything around him – making objects and pictures magically come to life. Mister Maker proves that anyone can be creative by demonstrating how easy and satisfying it is to have hands-on, artistic fun. The Fun Zone will feature face painting, jumping castles, a Lego puzzle section, gaming stations courtesy of Sony PlayStation and fabulous kids’ merchandise from retailers such as Toys R Us and Glomail. Refreshments will be available to purchase in the food court. With interactive live entertainment and activities galore, the nine-day DStv Kids’ Xtravaganza offers the ideal opportunity for parents to spend quality time with their children these holidays while keeping them busy and entertained. And not only are you and the kids having loads of fun, Vodacom is donating R7 from every ticket purchased to Reach For A Dream, in the hope of raising R200 000 towards sustaining their invaluable work. The DStv Kids’ Xtravaganza will also host 50 Reach For A Dream Dreamers at the event, where they will enjoy the live shows, explore the Fun Zone and take home a goodie bag packed with products from Toys R Us, Sony PlayStation and Glomail. The Vodacom Dome at Vodacom World, Midrand, is definitely the place to be from 28 June to 6 July! Tickets (including 90 minutes in the Fun Zone, followed by a 30-minute live show) cost R135 from Computicket, with children under one admitted free of charge. Visit the DStv Kids Facebook page for more information. And look out for the next DStv Kids’ Xtravaganza, to be staged later this year! The DStv Kids’ Xtravanganza is brought to you by DStv and Vodacom World, in association with Glomail, Toys R Us and Sony PlayStation. 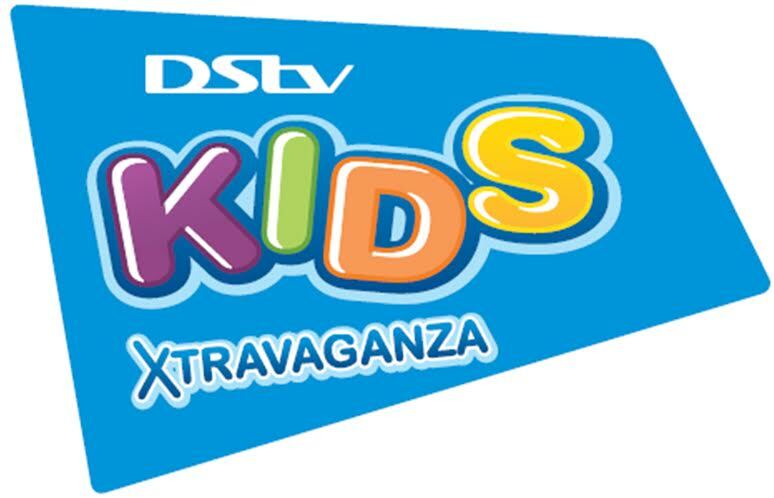 Every ticket purchased grants you access to the Fun Zone at DStv Kids’ Xtravaganza 90 minutes before each live show. This entry was posted in Entertainment, Exhibitions, Hot Happenings, Leisure & Relaxation and tagged Ben 10, DSTV, DStv Kids Xtravaganza, Glomail, Mister Maker, Sony PlayStation, Toys R Us, Vodacom, Vodacom World, Vodaworld. Bookmark the permalink.